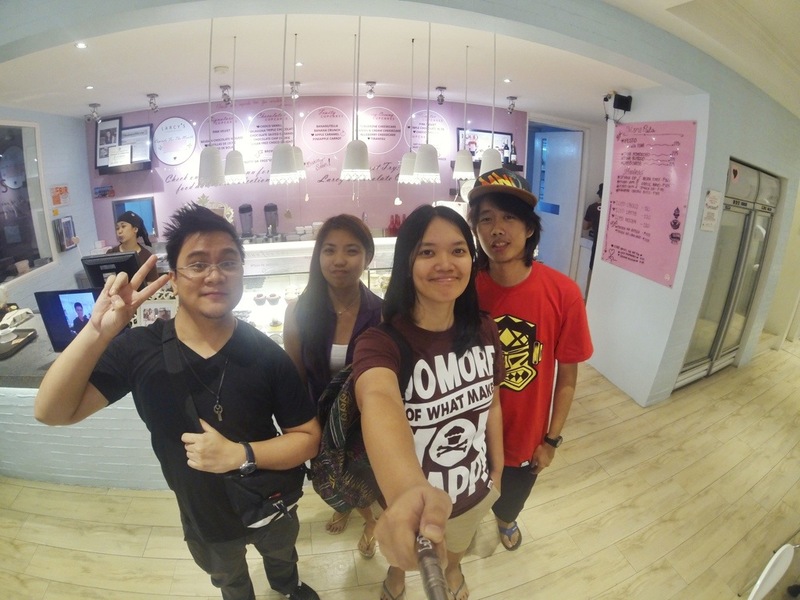 Subdivision in Paranaque to find some good eats there. 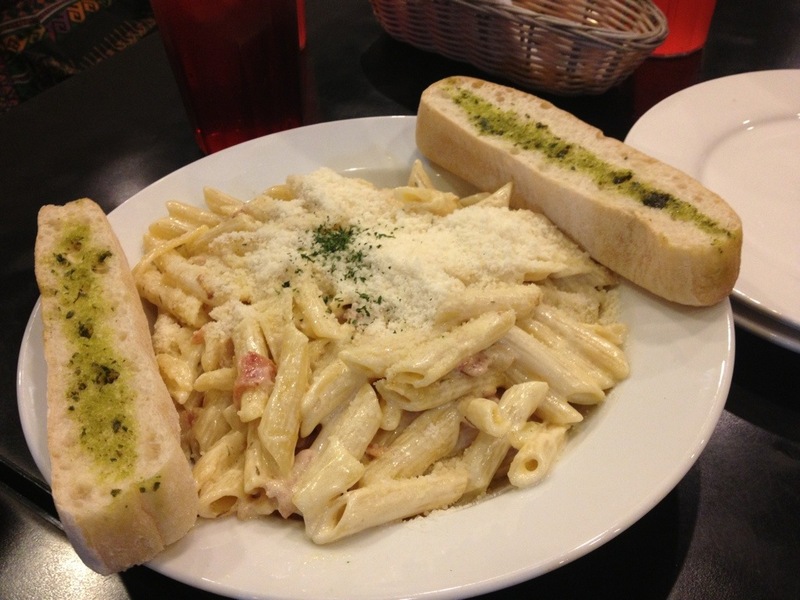 We all know Aguirre Street is a stretch of food heaven. 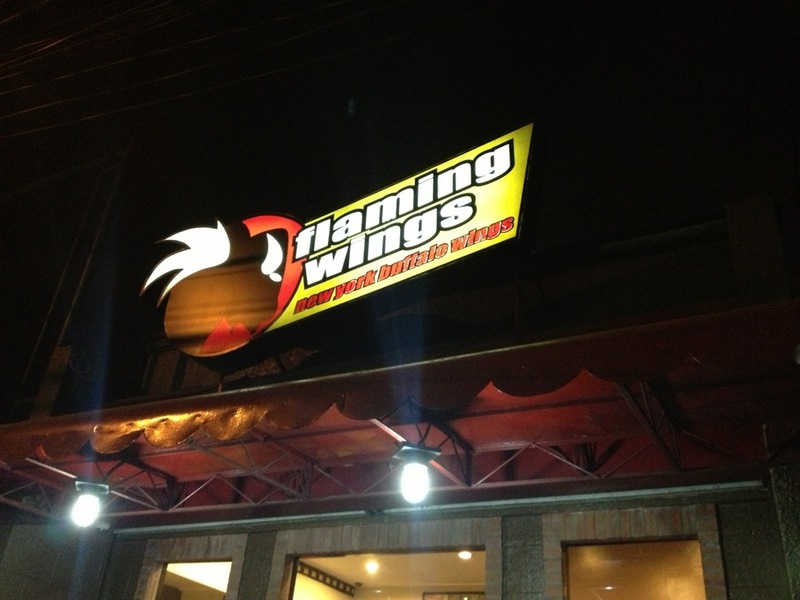 But of all the choices there, Flaming Wings won by unanimous decision. The place is small so make sure to peel your eyes to easily spot it. 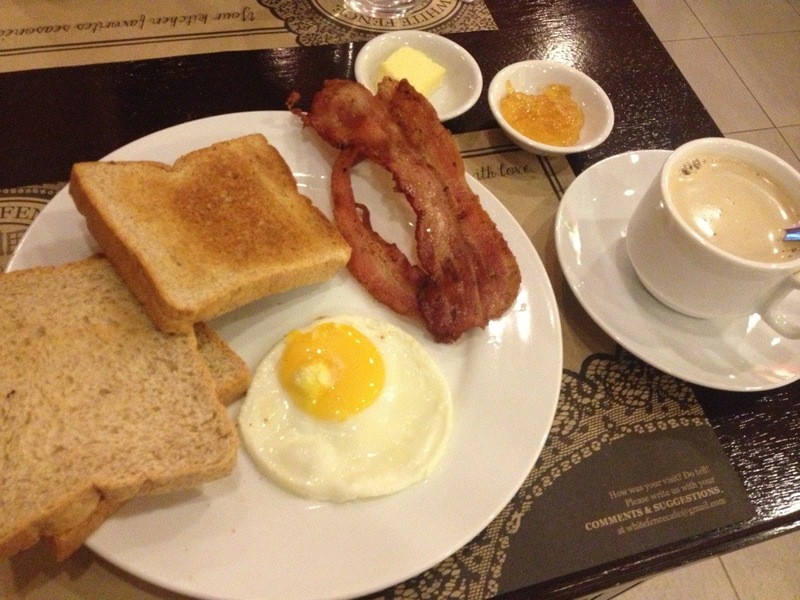 Or better yet, look for Ritchie’s Diner, a much bigger resto, in front of Flaming Wings. 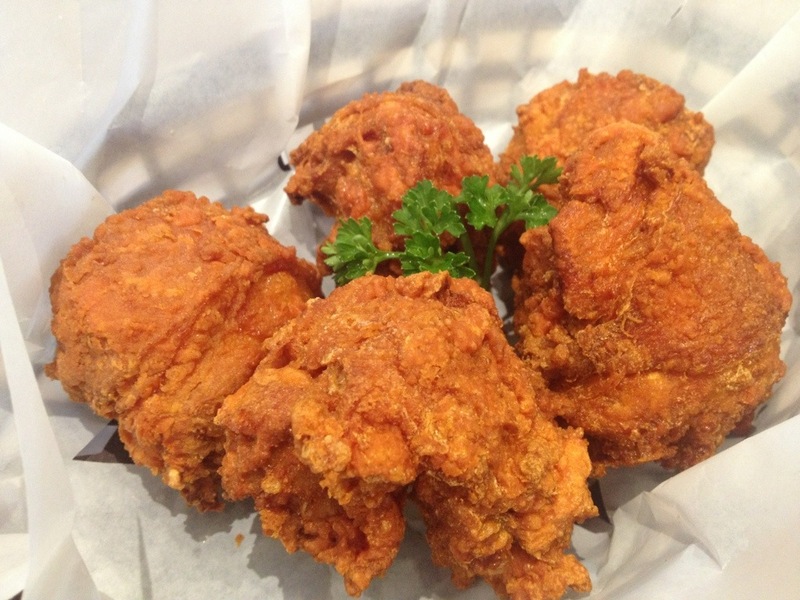 What better food to try than chicken wings, of course! So we had 15-pc wings in smoky barbeque sauce. Unexpectedly, each wing part was split into 2. 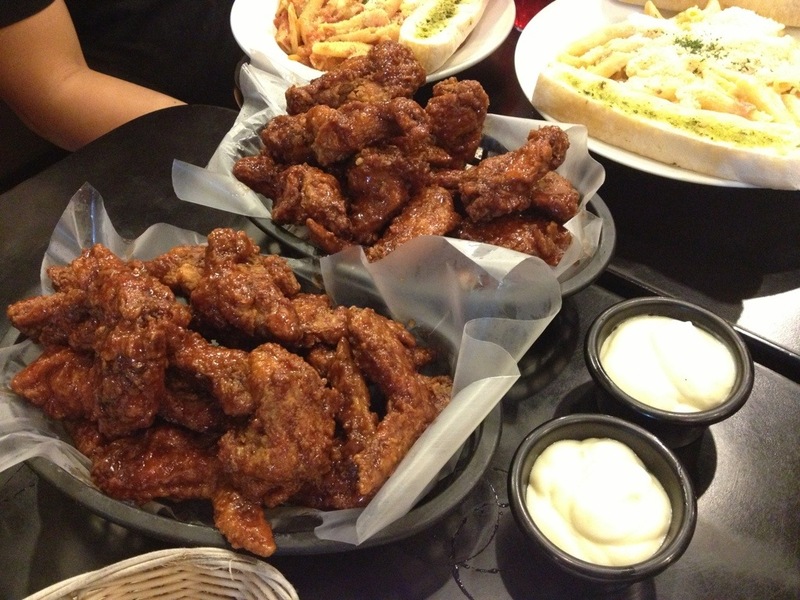 So, the 4 of us had 30 pcs of chicken to devour haha. 15-pc wings cost P735 with your choice of sauce and dips (we had bleu cheese and ranch). Giving it 3.8/5 rating. Good barbeque wings but not the best. Still, I had about 12 pcs haha. 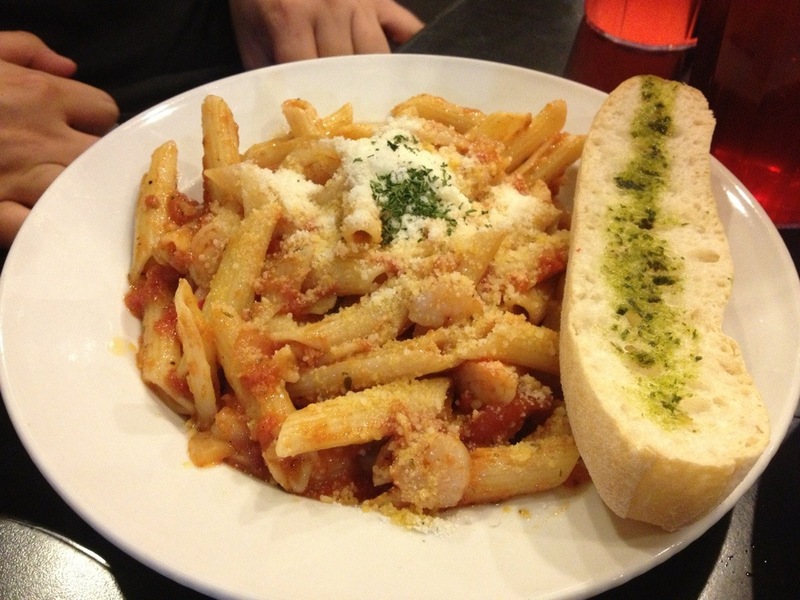 To level the tangy taste of the wing sauce, we had some pasta too. 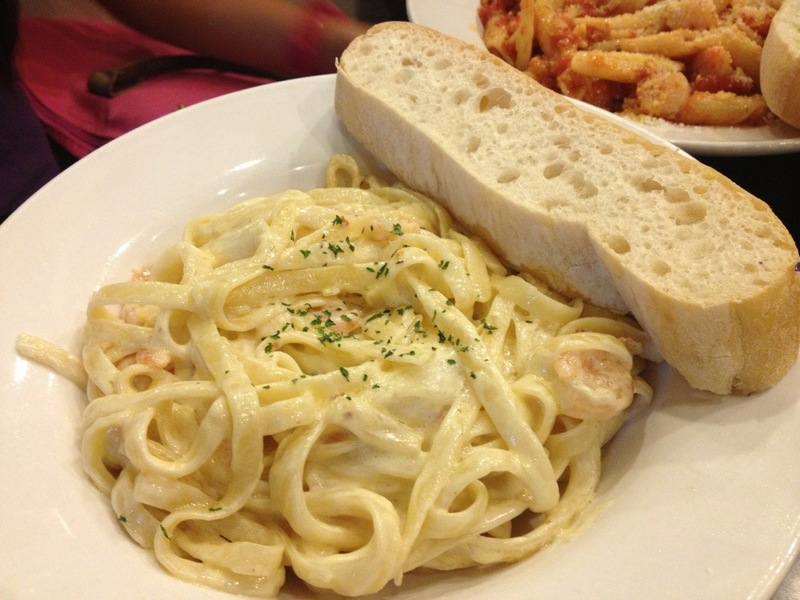 Those are carbonara (P235-full), creamy seafood linguini (P145-regular) and seafood marinara (P145-regular) respectively. 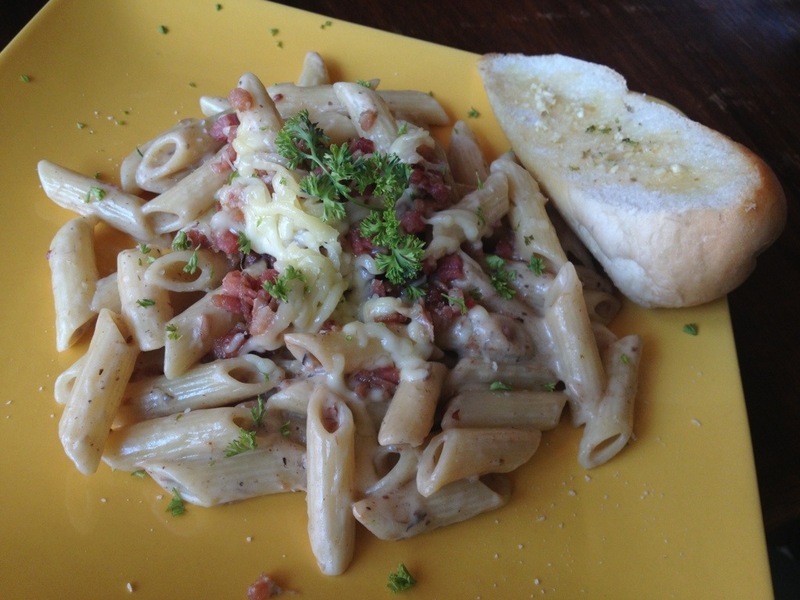 I’ve only tried carbonara which is okay, usual carbonara. hehe Friends say other pasta are good though. After a filling dinner, we headed to another place few blocks down to grab coffee. 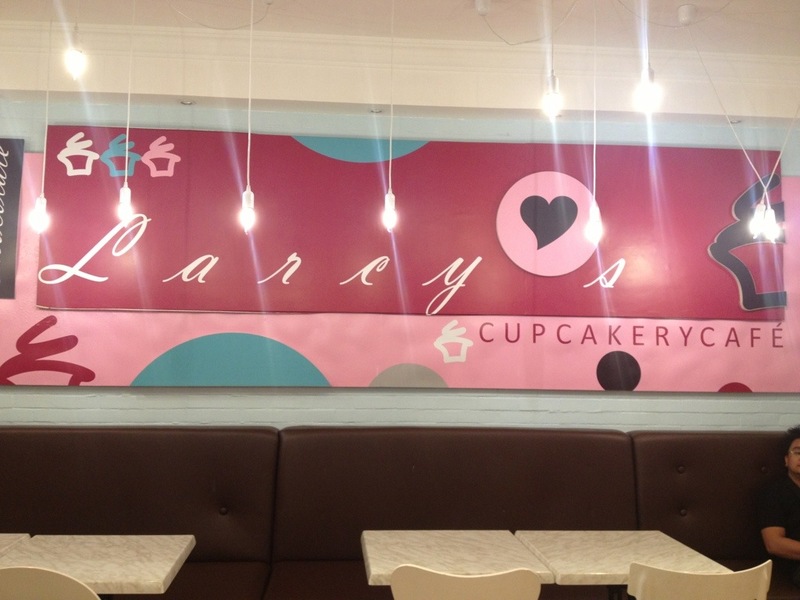 We were eyeing at Larcy’s Cupcakerycafe for its clean, cozy facade. Cupcake is moist but generally not a fan of those. I find it pricy at P85 each. 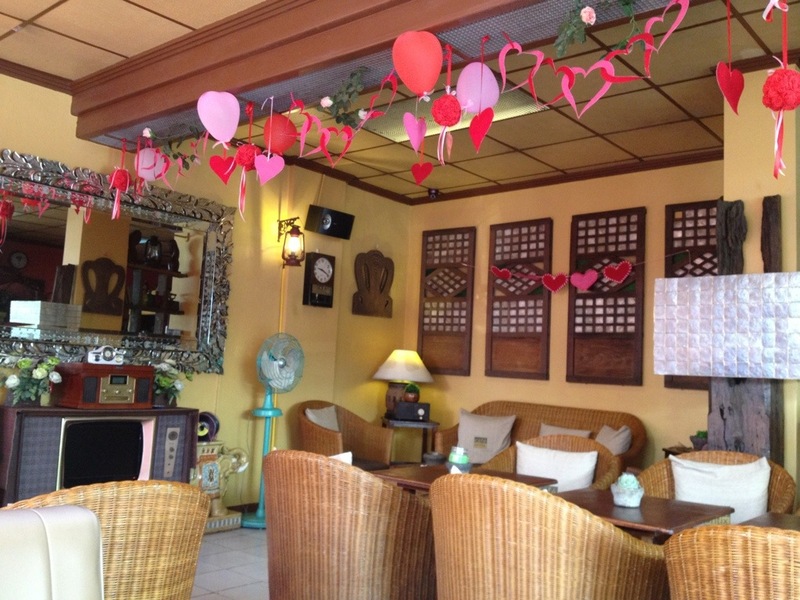 Valentine’s day or not, Cafe Antix is undoubtedly my favorite restaurant / cafe here in Cavite City. It’s my go to place whenever I crave some good food and want to relax. 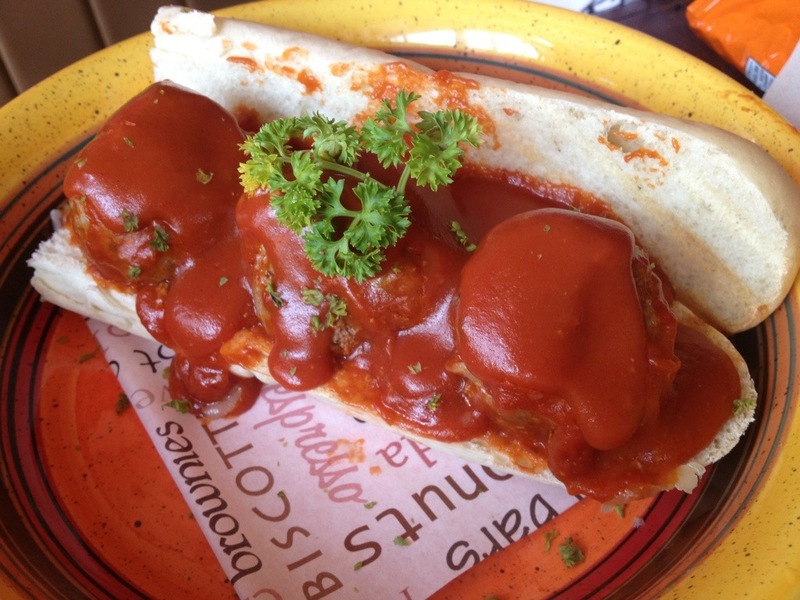 So we are here again last Friday morning for breakfast and to try their new sandwich. 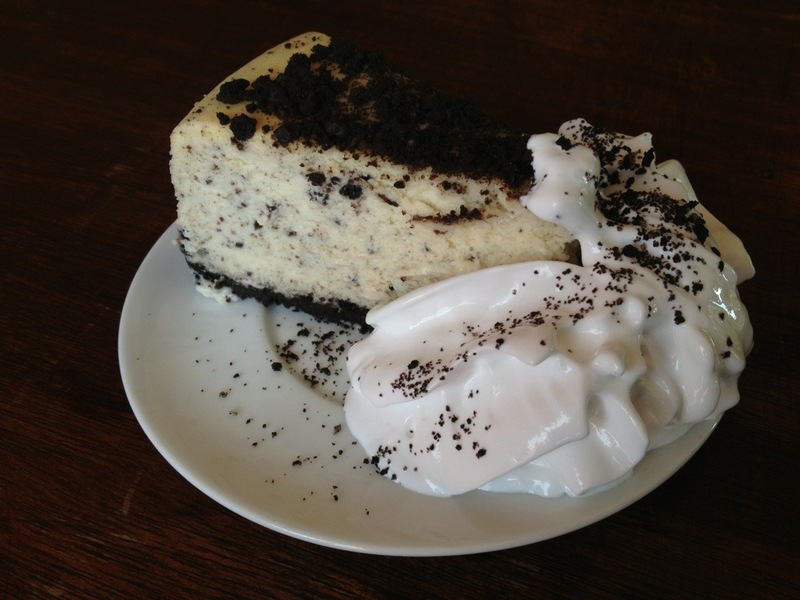 Oreo Cheesecake. This is my 4-year old niece’s choice. First time to try it since we usually go for blueberry. This is surprisingly good! Every bite is refreshing especially if you dip it in some cool whipped cream! What better way to spend my birthday weekend than to hop on a plane and go somewhere I’ve never been to? Our first meal in the city is just across our accomodation which is the Purple Fountain Courtyard Inn. 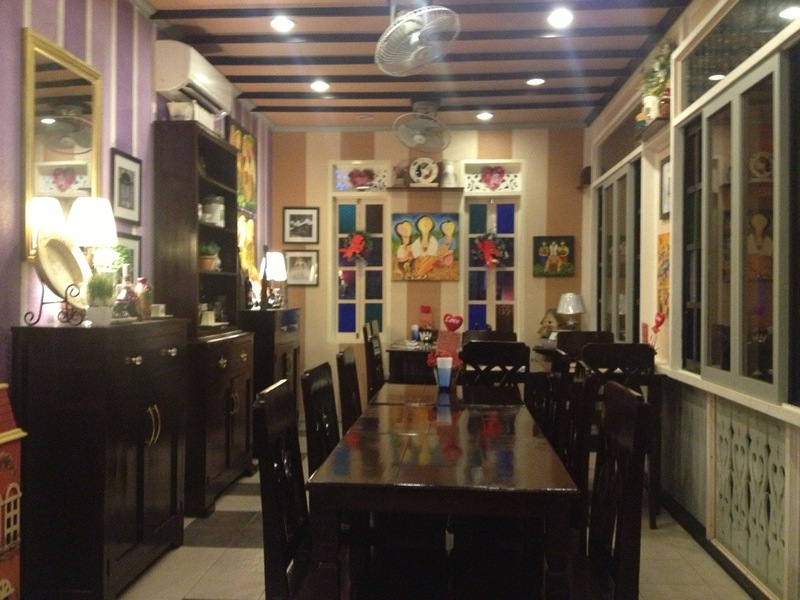 This resto is in Manalo Ext., about 2 minutes from the airport. Place is spacious and with garden setting ambience. 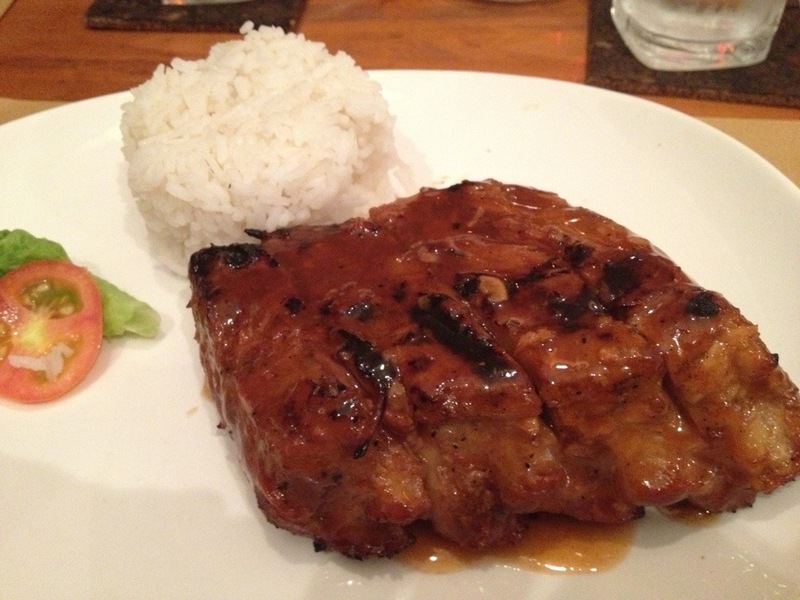 Judging by the name, their best in the house is grilled pork ribs (P290). 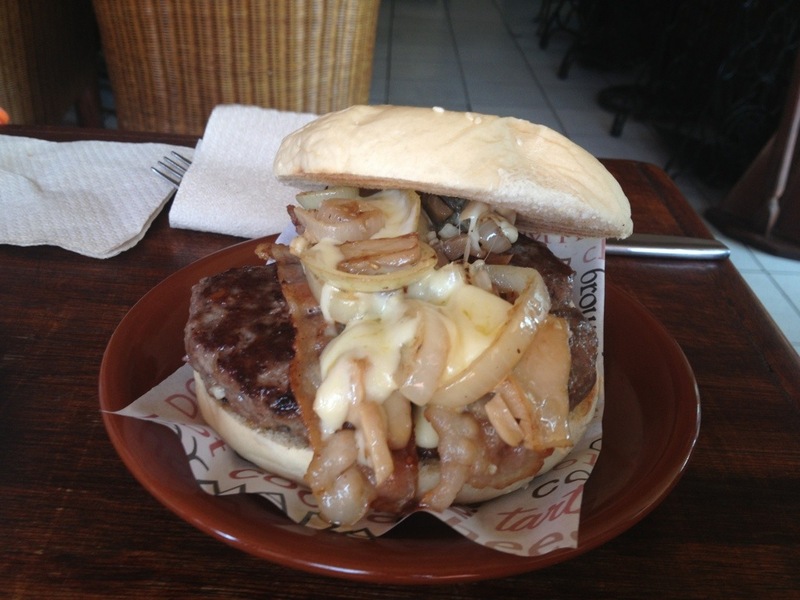 So that’s what I tried while Chino had grilled Porkchops (P280). 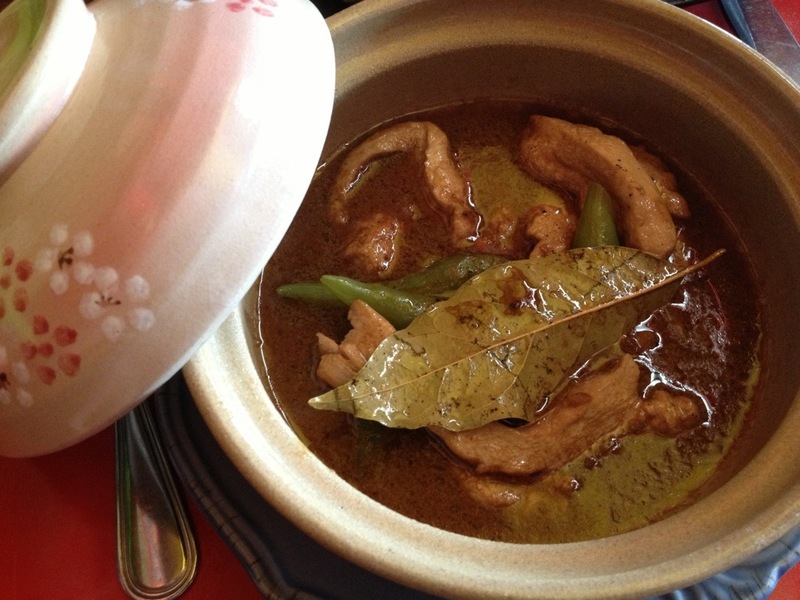 These are tender, fall of the bone meat. Tastes good but I hope they would effort more in presentation. After a good dinner, we headed to Tiki Bar in Rizal Ave. We love the place for its tiki ambience but I hate the live band! Maybe I have expected too much out of reviews and recommendations. 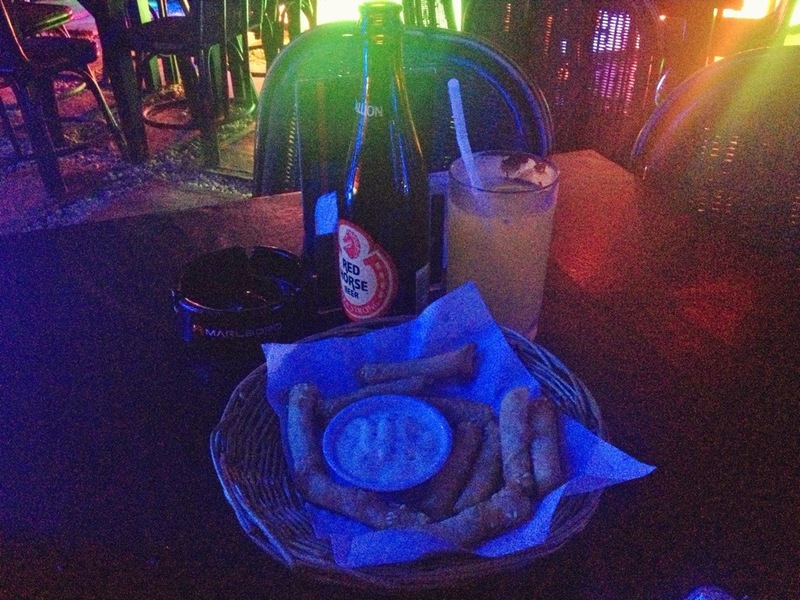 So Chino just had 2 bottles of beer while I had a manang moment with my calamansi juice haha. Plus some cheese sticks and we called it a night. My birthday dinner is at one of the most famous restos in the city. 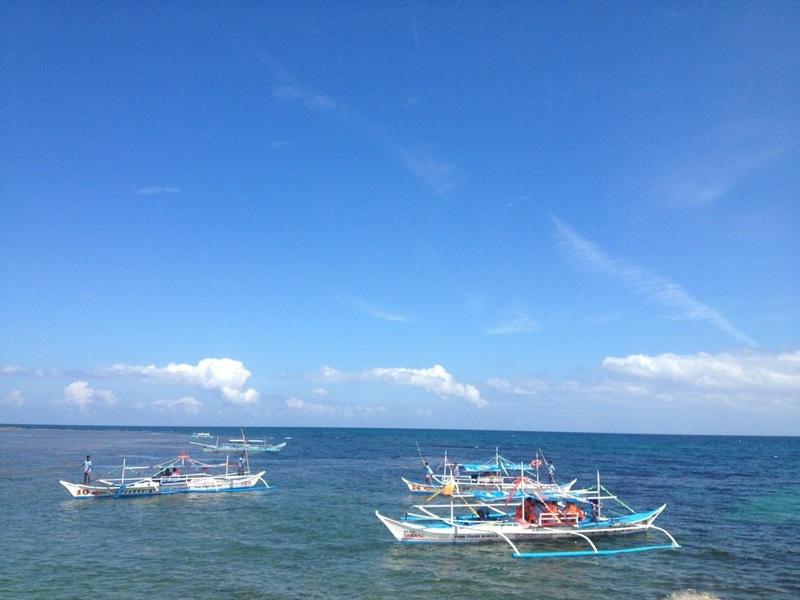 It’s also just along Rizal Ave. and now I understand why it is so popular. 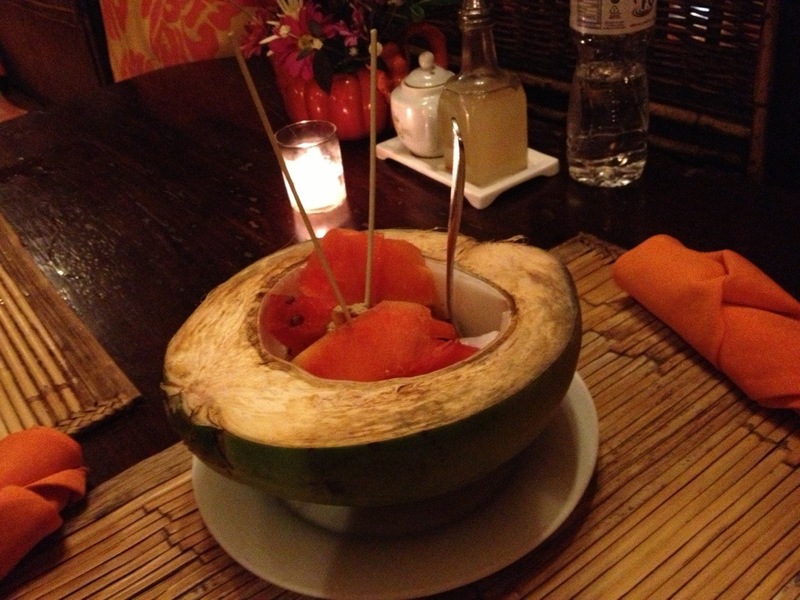 Good food, nice ambience, clean and organized, prompt servers plus a free bowl of fruits for dessert! 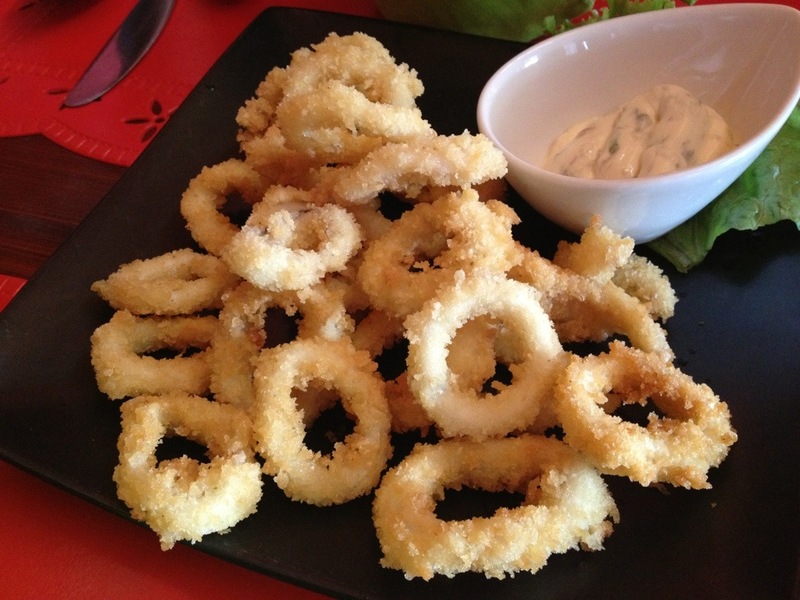 If you are into fresh seafood, this is for you. Just make sure to get a reservation since it gets full especially at dinner. Make sure to also check out their bathroom, I think it’s the best I’ve seen so far! 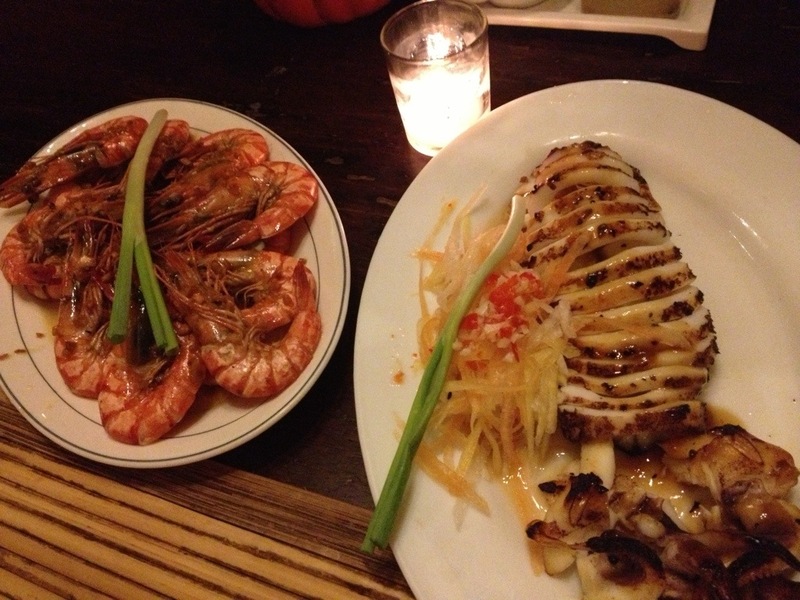 haha Chino ordered grilled squid while I had garlic shimps. 4/5 for the food! 🙂 Forgot to take note of the price though. 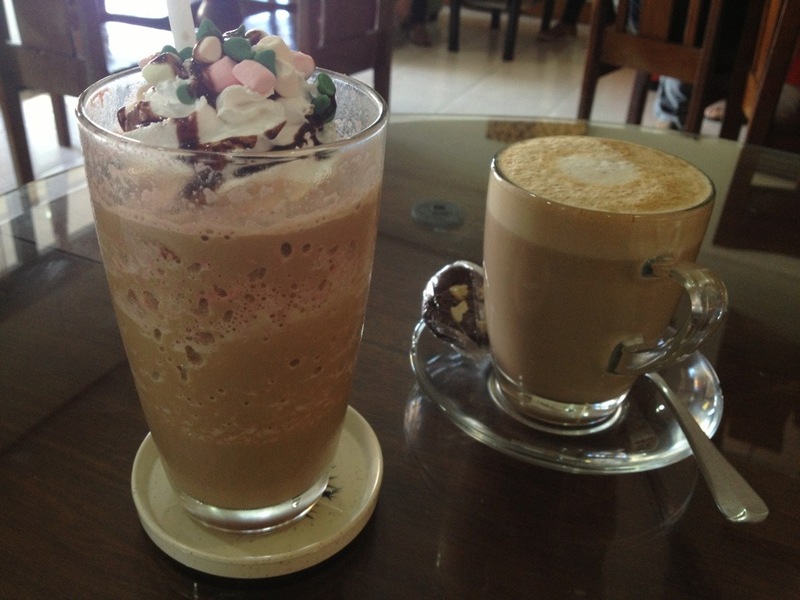 After dinner at KaLui, we went to a nearby cafe to cool down. 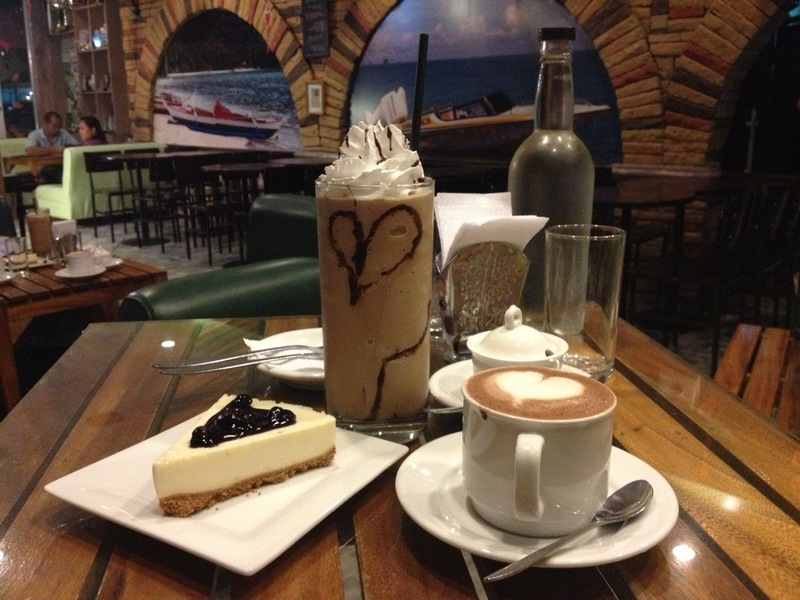 They have a lot of food and drink choices, reminds me so much of Subi Monte or Cofftea Zone here in Cavite hehe. 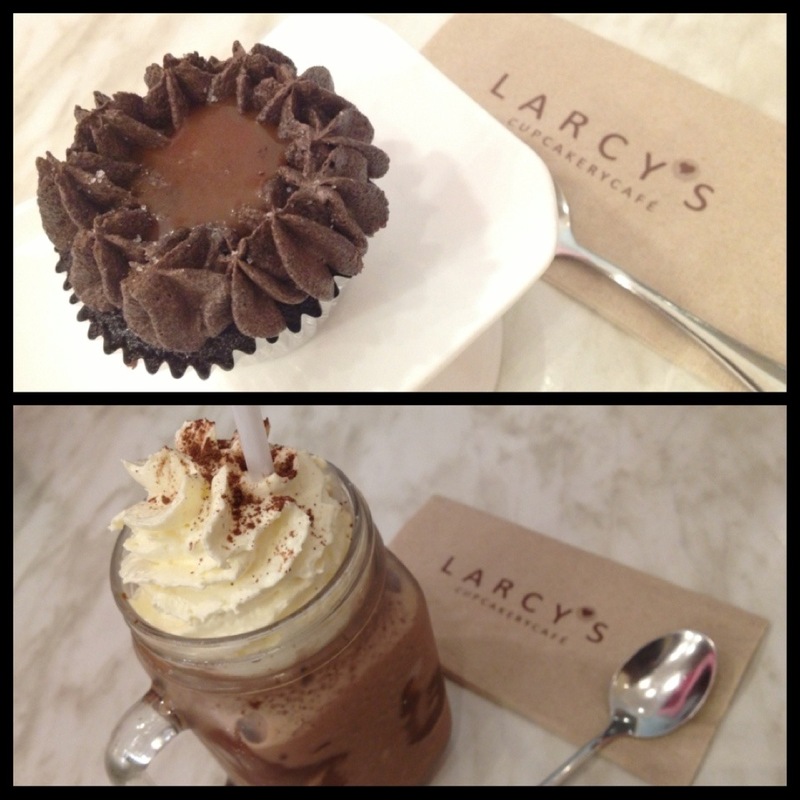 I tried their Macadamia Hot Chocolate (P110) while C had his ever favorite Mocha Frappe (P200-large). We also shared a nice slice of blueberry cheesecake (P130) while listening to live acoustic music. I think you’d get a good idea of the resto’s theme just from it’s name. >.< The place kinda looks creepy and weird but that's what makes it interesting. 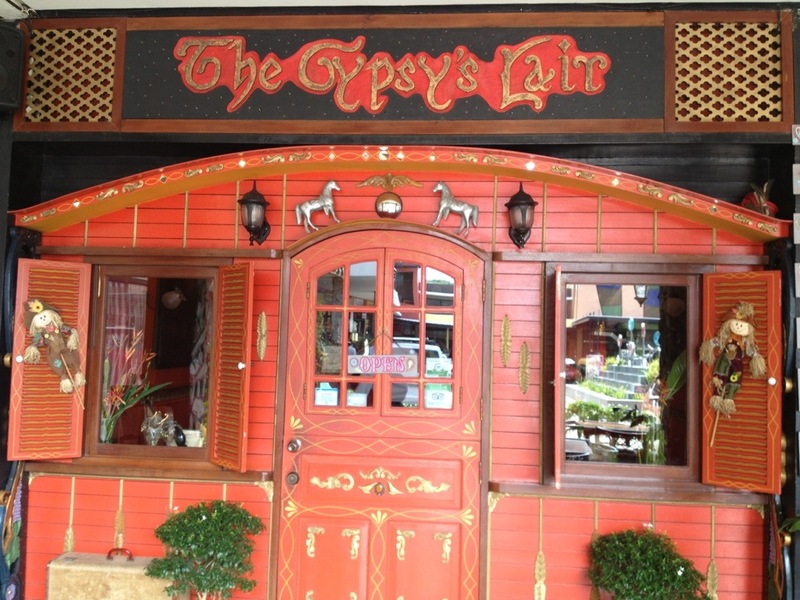 Scary dolls, unusual paintings and decors plus palm reading during weekends, add good food too and you have one of Trip Advisor's best restos in the city! 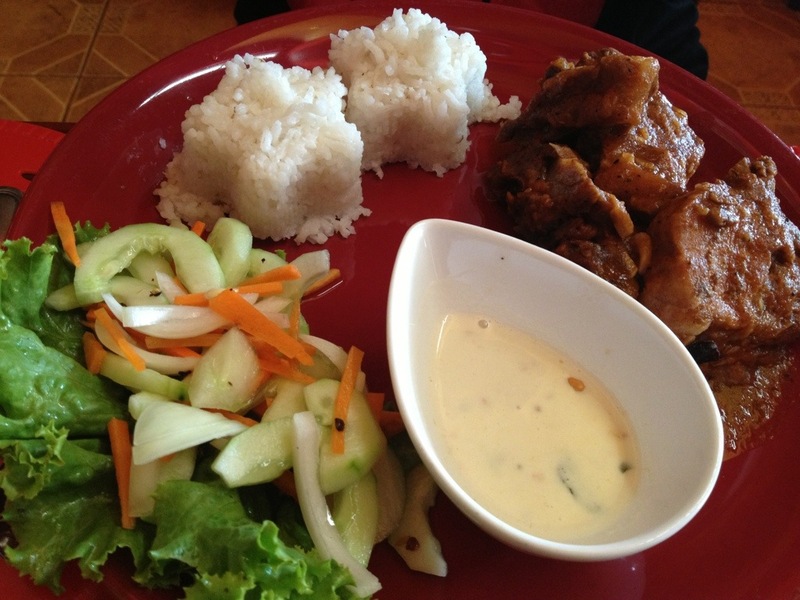 I tried their Adobong Manok sa Gata (P165) which I love! 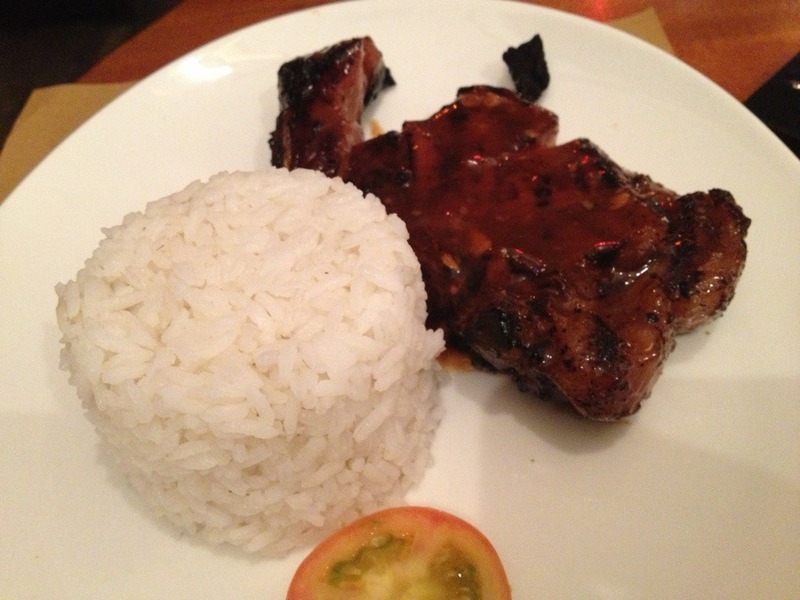 Chino had Gypsy's Asian Ribs (P240) plus some crispy Calamares (P165) on the side. I recommend that you try it here when in the city! It's in Mercado de San Miguel, about 5-minute ride via tricycle from city center. 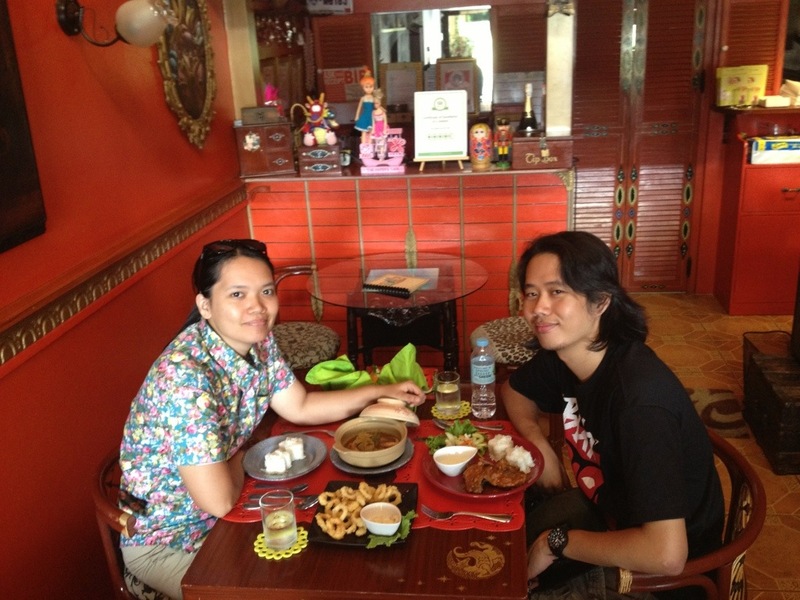 Before heading to the airport we had our last dose of Palawan in this cashew cafe. 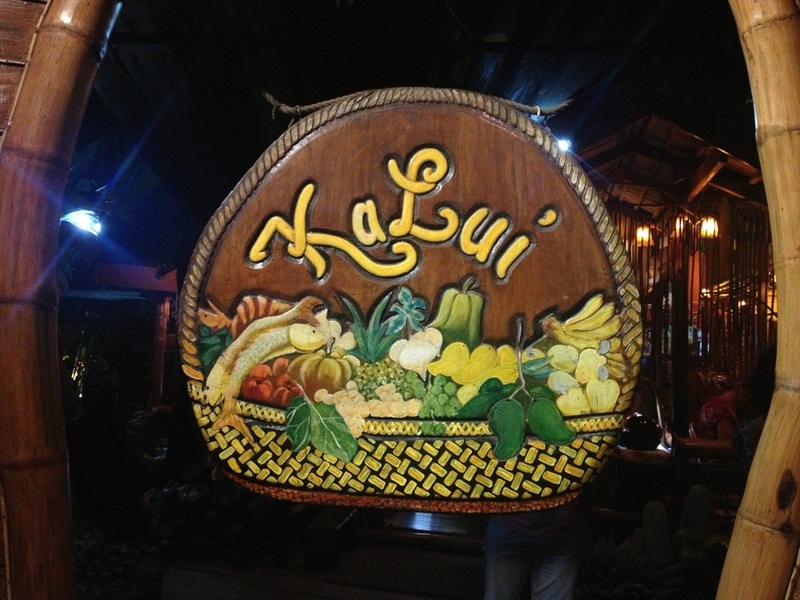 They serve variety of cashew delicacies and cashew based drinks. 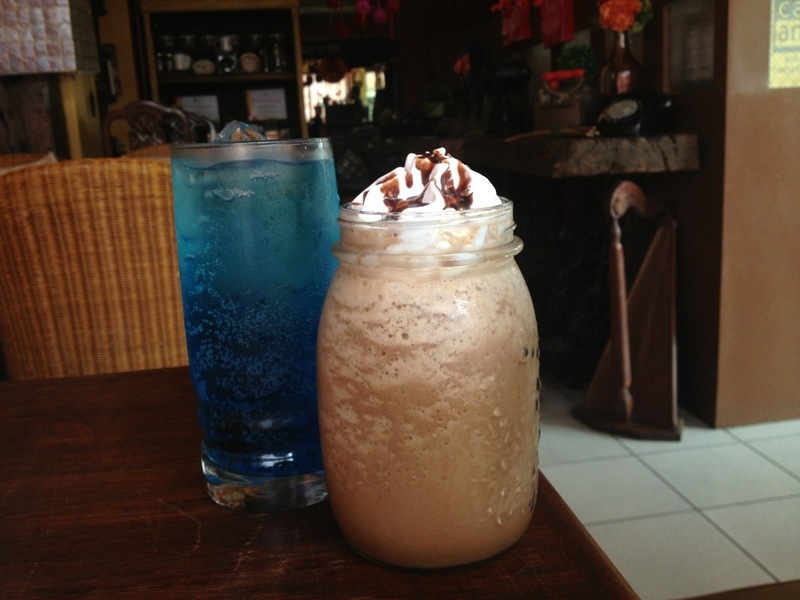 I tried their Cashew Mocha while C had Black Forest Frappe, P250 for both drinks. Here’s a restaurant in Mall of Asia that you usually pass by but never really thought of trying. 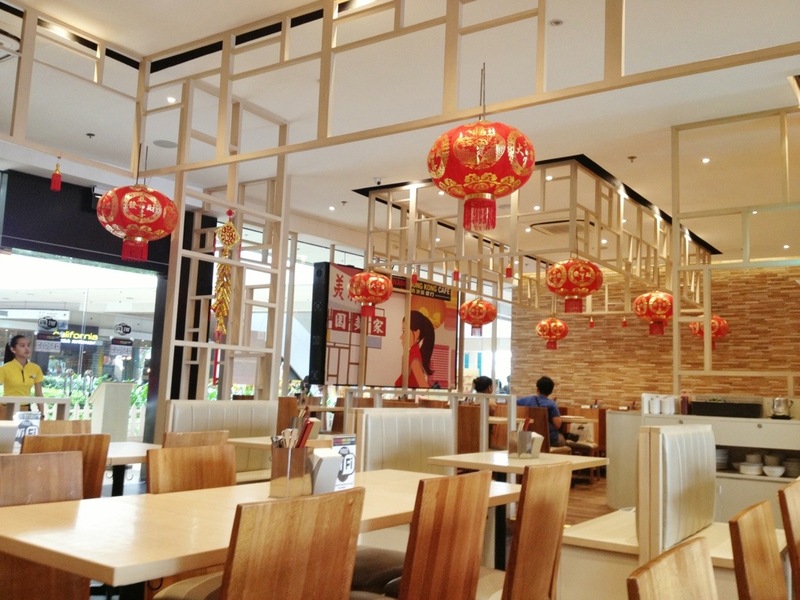 And since it was Chinese New Year the other day, we have decided to try a Chinese resto that we have not tried before. 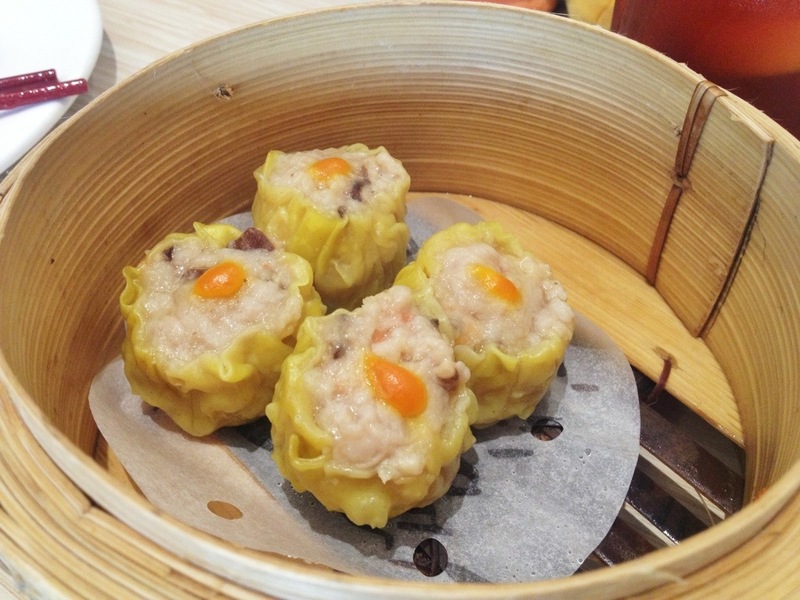 So we tried the basics: dimsum of course! 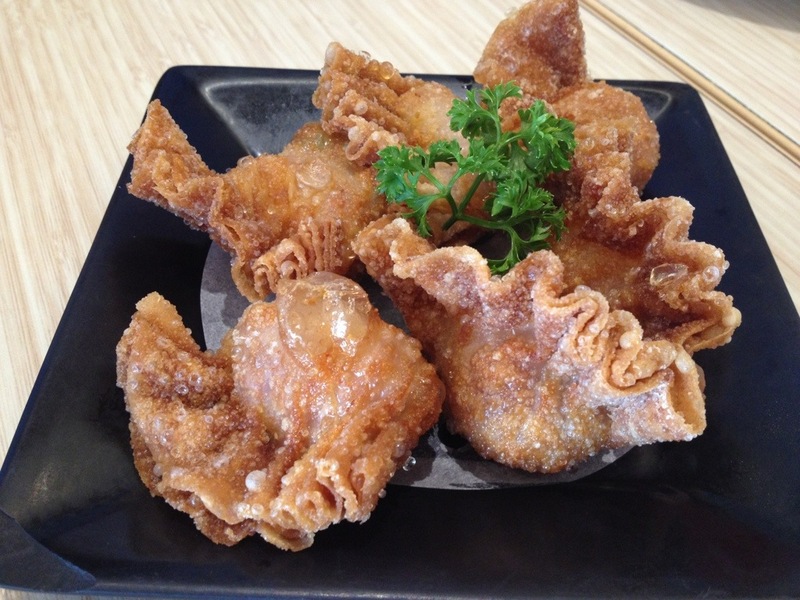 For me, a Chinese meal is not complete without siomai hehe (P110), plus the deep fried wanton sounds good too (P100). The XW Signature Fried Rice (P225) is something heavy. 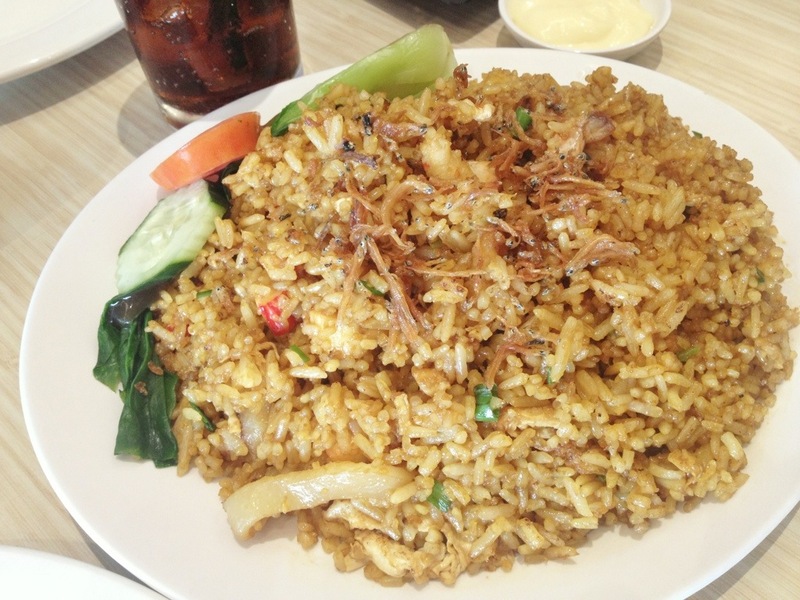 It has bits of crab sticks, dried fish and shrimp in a bed of fried rice that can serve 3 persons. 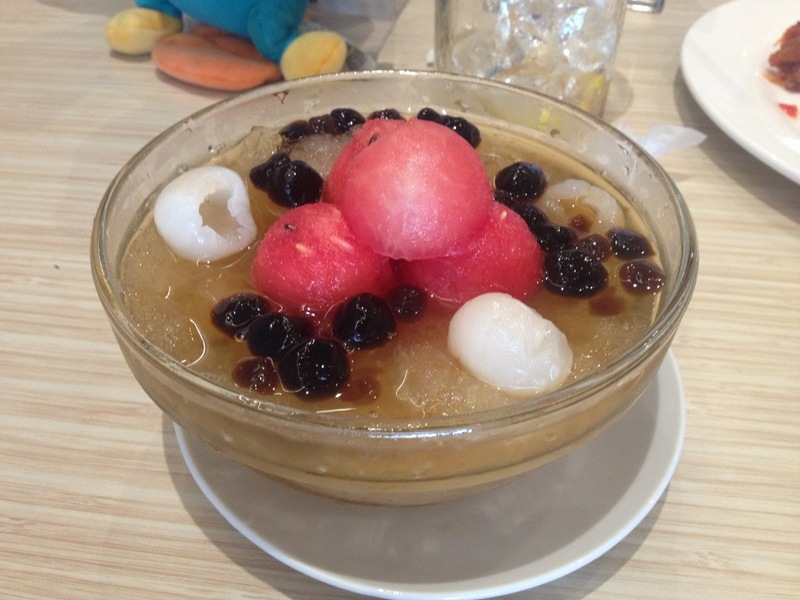 This is a good pair with any dimsum item though. 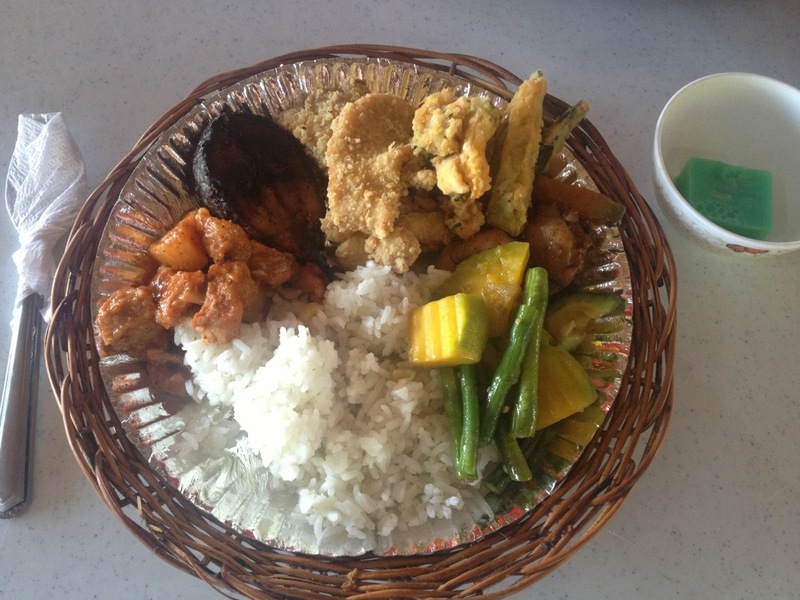 But my favorite among this meal is the Prawn Paste Chicken (P245). 5 pieces of chicken fillet deep fried with prawn paste coat, yes that is bagoong! 🙂 It’s a little salty but goes well with some sweet chili sauce. 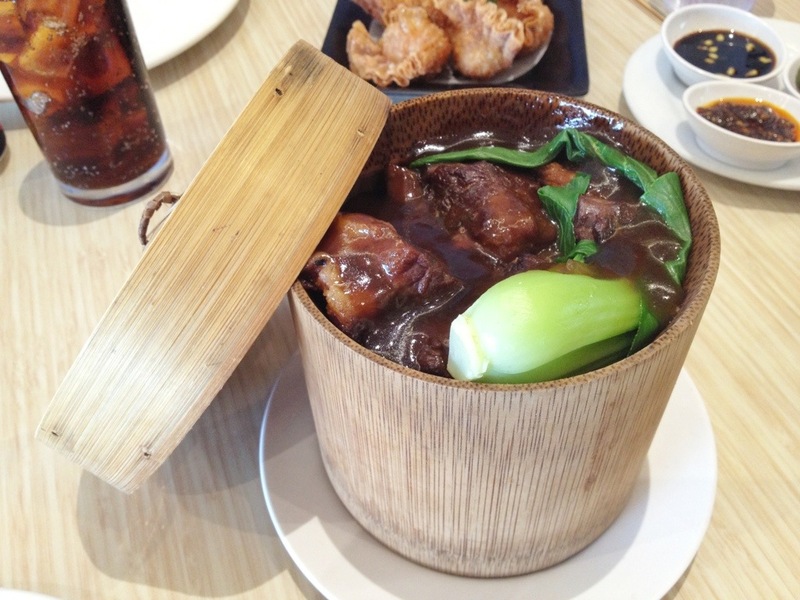 This is a must try if ever you will try to dine at the resto!